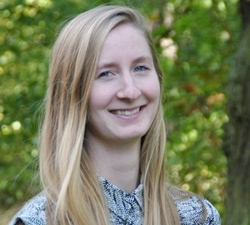 Emmy Wassénius is a joint PhD candidate between the Global Economic Dynamics and Biosphere programme (GEDB) and Stockholm Resilience Centre at Stockholm University. Her PhD project focuses on identifying and understanding risks and vulnerabilities in the global food production system. Using this global approach allows her to investigate emergent patterns, and potentially emergent risks, that are not visible at the regional or local level. Similarly, looking at the food production system as a single system rather than at its sectoral components (e.g. fisheries, aquaculture and agriculture) allows for investigation into the connectivity between these sectors and its implication on risk and sustainability. Outside her PhD project, she is involved in several projects focusing on the sustainable use of marine resources at a global scale. These different projects examine how different marine resource use activities interact with each other and their implication for sustainability. Emmy holds a MSc degree in Social-Ecological Resilience for Sustainable Development from Stockholm Resilience Centre and a BSc in Marine Biology from the University of St Andrews (UK). After completing her MSc degree Wassénius worked for two years as a research assistant in the GEDB programme, before commencing her PhD in Sustainability Science.